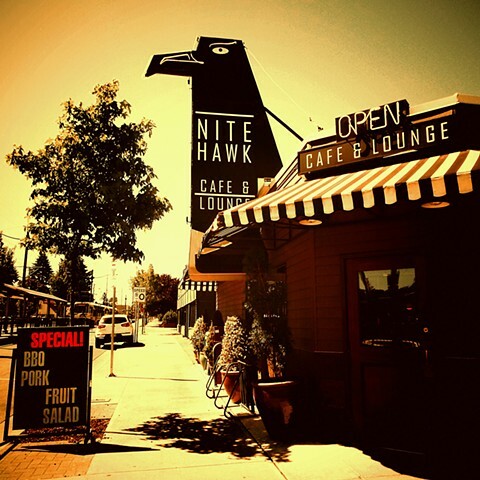 It's hard to miss the creative signage on the Nite Hawk Cafe & Lounge on the corner of Interstate Ave & Rosa Parks Way in the Arbor Lodge neighborhood of North Portland. The Nite Hawk, in various incarnations, has existed since 1931. Bill and Elaine Mildenberger bought it in the early 80s and over the years, along with their son Bill, have remodeled and renovated it to become a neighborhood favorite for tasty food & good local company.